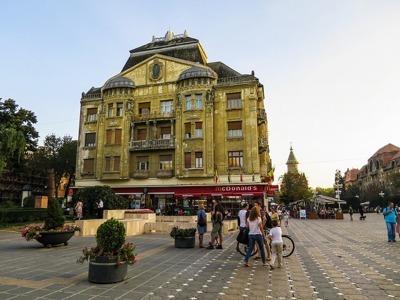 Timisoara is divided into squares and each of these parts showcases astounding architectural sights. It's so pleasant to walk along the city's roads. Among the most charming tourist attractions, it's definitely worth visiting Timisoara Orthodox Cathedral, Piata Victoriei, Unirii Square, Mehala Orthodox Church, Timisoara Historical Center, Muzeul Consumatorului Communist, Muzeul de Arta. Timisoara is also rich in marvelous parks that will remind you of the fairy-tale aspect Timisoara has. Don't miss your opportunity to walk in Central Park, Roses Park, along Bega River and Gradina Zoologica Timisoara Padurea Verde. 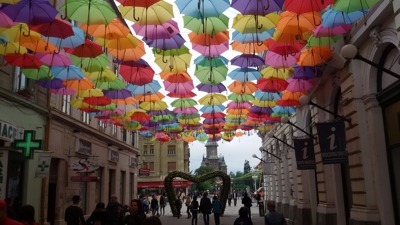 The architecture, culture and even cuisine of Timisoara are vividly influenced by Austrian culture. You need to know that you have made the right decision choosing Timisoara as your next destination for traveling. However, in order to get a real glance of the city, you will need a secure means of transportation. 8Rental offers premium level services for all people, who are in search of a reliable transportation means. It's been several years since we established this car rental service and started providing travelers with amazing vehicles and skillful drivers. Once entrusting your trip with us, you are sure to become one of our numerous faithful clients from around Europe. Send us a quote and rent a chauffeured car in Timisoara to drive from one tourist site to another! Let's find out all the benefits you are going to get hiring a car from 8Rental. Available 24/7, our human and automated customer support is ready to receive and proceed your orders. We are eager to make your transportation in Timisoara as delightful and comfortable as it is generally possible. You have found the service you can unconditionally depend on, no need to search further! 8rental has obtained a series of various cars to satisfy any client's demands. Depending on what you expect from the car you book, you can select a standard class car Skoda Octavia, Toyota Camry, etc., or a luxury model by world-leading automobile manufacturers. Make your choice and rent a car with driver in Timisoara on affordable conditions. Standard class cars are equipped with specs of primary comfort necessity such as air conditioning, convenient seats, tinted windows, audio system, and so on. These cars cost relatively cheaper, yet promise to drive you along Timisoara's roads comfortably and safely. They are great for travelers with limited budgets. Regarding more expensive and more luxurious cars, we can suggest booking the Audi A6, Mercedes S class or BMW 7. Featuring premier amenities, including cruise control, air conditioning, leather cabin upholstery, and others, these cars guarantee an incredibly pleasant driving experience. Rent a chauffeured car in Timisoara and turn your travel in Timisoara into a pleasure! Before employing a driver, 8Rental makes a keen checking to reveal the level of professionalism each candidate has. 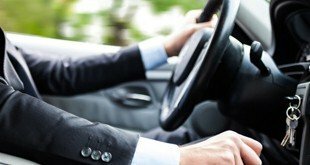 Our highly qualified chauffeurs are not ordinary licensed drivers but real experts who are able to drive you in safety and comfort. They are responsible, experienced and reliable. 8Rental's drivers master different languages. Choose the driver that speaks your language, make your communication easy and pleasant. They are definitely worth your trust!